Approaching craft beer from a different angle. Sean Wells (L) and John Schuman of Gilman Brewing. Gilman Brewing Company, 912 Gilman St, Berkeley. GilmanBrew.com. It's possible that the newest brewery in the East Bay is perhaps one of the easiest to find: Gilman Brewing, on the eponymous thoroughfare in north Berkeley. 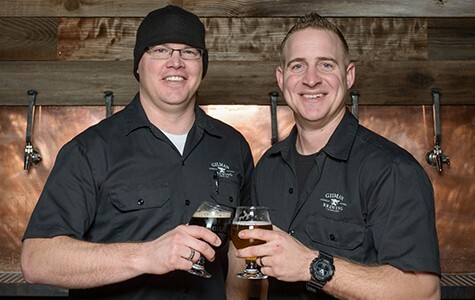 The team and Gilman — which includes head brewers Sean Wells and Tim Sellmeyer, and also John Schuman — are approaching the craft-beer scene from a different angle, focusing on delicate, crisp farmhouse saisons, some top-notch Belgians. And, of course, a dialed-in IPA — because hoppy beer is still king. The Express spoke with Wells last weekend, just seven days after finally opening. What motivated you to start a brewery? I don't have a very good explanation. Tim and I had been working together for a lot of years, at our other job — we're both surgeons for dogs and cats, that's how we know each other. And I'd been brewing since I was 17, and Tim's been brewing for about 10 or 15 years. So, we got interested in working together years ago, talking about doing beer. It's always been a long-term "Hey, one day we should do that." 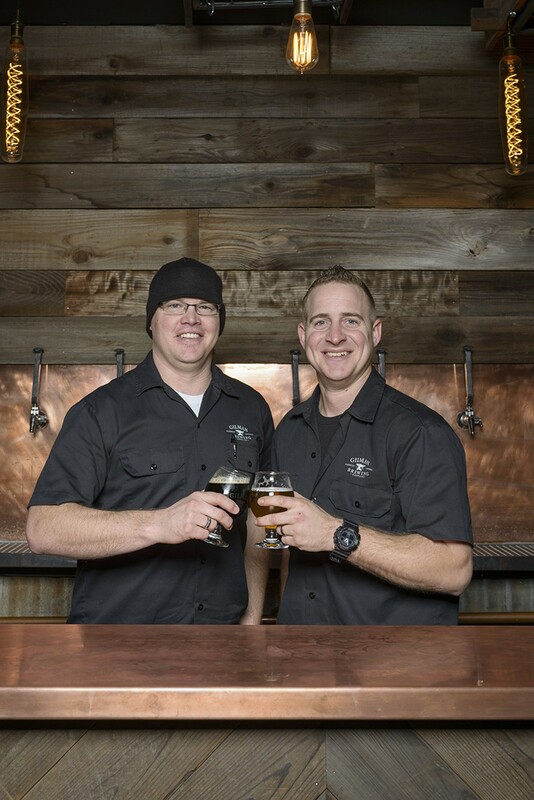 How does Gilman Brewing stand out? The direction that we're going, and the beers we have in our lineup coming up, they're different. We get a lot of people commenting on the fact that you can't get a porter anywhere, "We love your porter, this is great." ... That's one of those things, sort of Warren Buffet-style, counter to what everyone else is doing. We're going to do something completely different. You've been open a week. What have you learned? So far? I mean, John would probably say the same thing. We hear from people that they're stoked to have a different option than what's out there. You go to most other breweries in the area, you're going to get a really hop-heavy selection — a pale ale, different IPAs, and some giant, 10 percent stout. And other places will have some different things. But it's a very IPA-centric craft-beer world in this area right now. Hazy IPAs: Yes or no? You have a lager, too? Yes, the Green Eyed Devil. That's named after my girlfriend. How does she feel about that name? She wasn't a huge fan to start with. [Laughs]. But it's grown on her. Now, when people come in in and ask for it, she's like "That's my beer." So, when you're not brewing, what beer do you crack open? I'll drink anything. I mean, we drank a ton of PBR — there's a reason we've got a PBR sign up. Do you remember the first beer that got you into brewing? They don't make it any more. Samuel Adams used to have a holiday beer called Old Fezziwig, and I remember my mom and I sat down ... it's a funny beer.